Get information about food, meals and nutrition programs and assistance. Food Pantries – people in need can go to the pantry and receive food items. 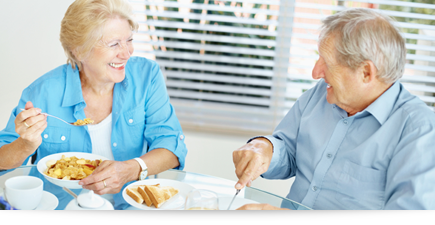 Home Delivered Meals & Meal Sites – available to people age 60 and older through a federally funded nutrition program. Nutrition & Special Diets – food provides energy and nutrients everyone needs to stay healthy. Resources – a listing of web sites that contain valuable ideas, tips, and information that you may want to discuss with your doctor. Food Safety – simple steps can help ensure that your food is as safe as possible. SRA Medication Review Program – provides a personal medication review by a registered nurse.